Wader Quest: Colour ringed Piping Plovers in Florida. 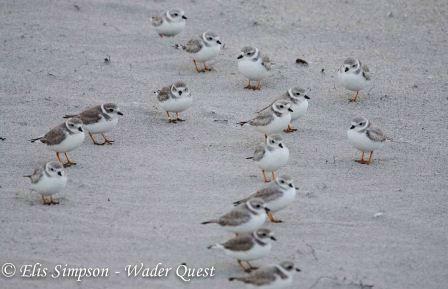 Colour ringed Piping Plovers in Florida. When Elis and I were in Florida at the end of last year we saw and photographed a number of colour-ringed Piping Plovers. We knew that we would be able to find out a bit about these birds from our friend Robin Diaz who we met at Crandon Park Beach on the Atlantic coast. She in turn put us in touch with Mary Bomberger Brown who was able to shed some light on the bird we found on the Gulf coast at Bunche Beach near Fort Myers. 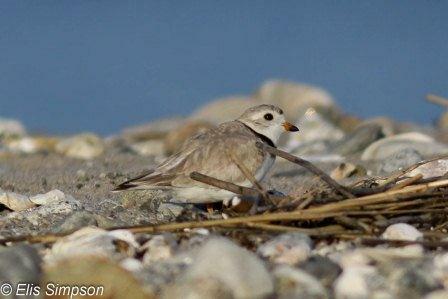 Piping Plovers Charadrius melodus are considered Near Threatened by Birdlife International. Adult breeding Piping Plover, Milford, CT, USA 17/05/2012. Overall the total population has declined significantly since the 1950s, but since 1991, due to a concerted conservation management programme, the population has been growing again. Adult breeding Piping Plover, Milford ,CT, USA 17/05/2012. Wintering Piping Plovers, Crandon Park Beach, FL, USA 30/11/2012. This is a total population increase of about 70% since 1991. This total of breeding individuals equates to a total population of 12 - 13,000 individuals. 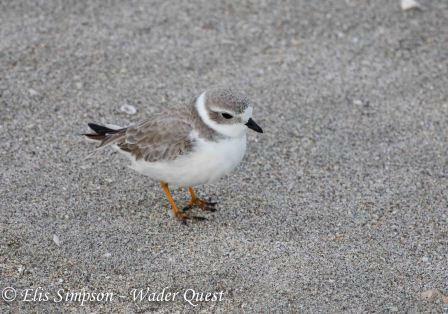 Wintering Piping Plover, Crandon Park Beach, FL, USA 30/11/2012. This is obviously all good news, but it is plain to see that the success of this species has been directly due to the intensive management it has received, should this cease the population will undoubtedly decrease again and may even crash. Conservation of wader species is at the forefront of what Wader Quest stands for and it can be seen from the success being met by the hard-working, dedicated people protecting the Piping Plover that where there is a will there is a way. Let's hope that this enthusiasm and the skills learned can be rolled out, not just to Spoon-billed Sandpipers, but to all wader populations, most of which are in decline to some degree. 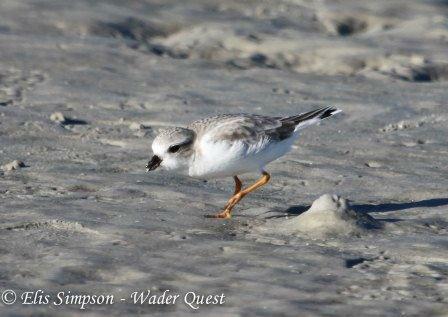 Wintering Piping Plover, Bunche Beach, FL, USA 02/12/2012. Here are the details for the birds we photographed. Crandon Park Beach, Key Biscayne, Florida. 30th November 2012. O,B:X,B/O/B (3-digit code on blue ring). 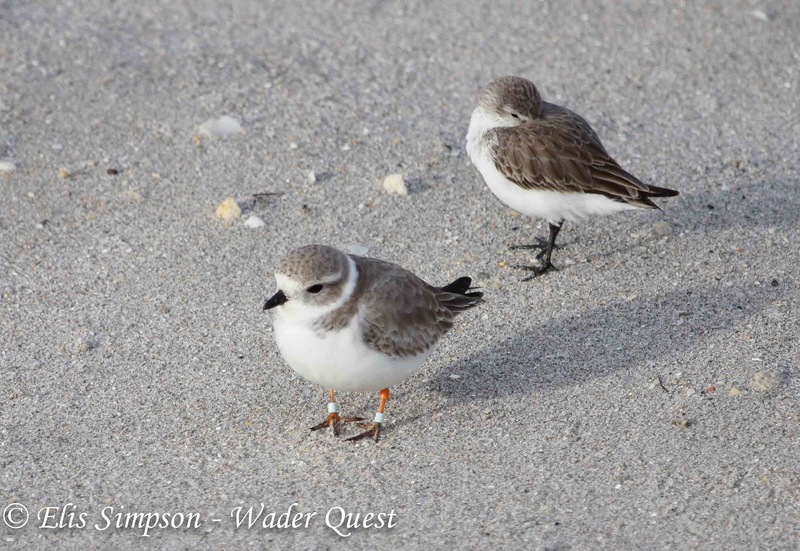 This was ringed as a chick in 2012 at Ludlington Beach State Park, Michigan (Great Lakes). 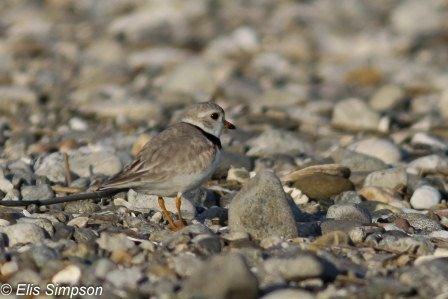 X,VP:Yf,PK This was ringed as a chick on 5th July 2012 on Lake Sakakawea, North Dakota and is part of the Missouri project of ringed plovers. Of,GG:X,Y This is a female hatched in 2009 in Ludington Beach State Park and was ringed in 2012 in Sleeping Bear Dunes National Lakeshore. (Great Lakes). Individual 4: the famous 'Rocky'. Ob:X,b male hatched in 2004 and ringed in 2006 on North Manitou Island in Sleeping Bear Dunes National Lakeshore (Great Lakes). Bunche Beach, Fort Myers, Florida. 2nd December 2012. This bird was ringed as a chick on 16th June 2011 at a lake shore housing development near North End, Dodge County, Nebraska (along the Lower Platte River). It has been seen on beaches near Fort Myers during the winter of 2011-12 and 2012-13.